This book helps students develop a conceptual understanding of a variety of statistical tests by lin.. Featuring just the right amount of information and instruction, Kirkpatrick and Feeney''s no-nonsens..
Students will find this no-nonsense, streamlined book teaches them everything they need to know abou.. 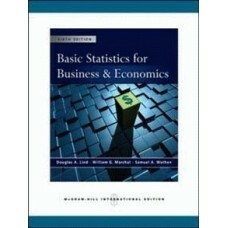 This worldwide best-selling business statistics book teaches readers how to apply statistics to real.. Applied Educational Statistics focuses on the applications of statistical principles to education an.. 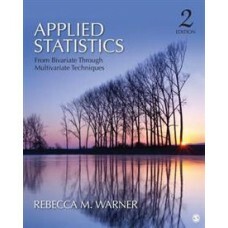 Applied Statistics: From Bivariate Through Multivariate Techniques, Second Edition provides a clear ..
"Lind/Marchal/Wathen: Basic Statistics for Business and Economics, Sixth edition" is a derivative of.. 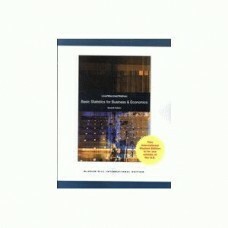 Basic Statistics for Business and Economics, Sixth edition is a derivative of the best-selling Stati.. This worktext was written not only for business, arts, and science students but also for students in.. The Third Edition of the bestselling Basics of Qualitative Research:Techniques and Procedures for De..
What do Florence Nightingale, a failed Antarctic expedition, the Guinness Ale Company, and the Chall..
Popular in its first edition, Dictionary of Statistics and Methodology will help students get throug.. 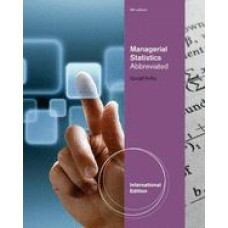 This award-winning text, now fully updated with SPSS Statistics, is the only book on statistics that.. Written in his vivid and entertaining style, Andy Field continues to provide students with everythin.. This brief version of Gravetter and Wallnau's proven best-seller offers the straightforward instruct..